Nancy, George, and Bess can’t believe the out-of-this-world contest McCormick’s grocery store is having—the kid who guess the number of jelly beans in the jar wins a trip to a space camp! 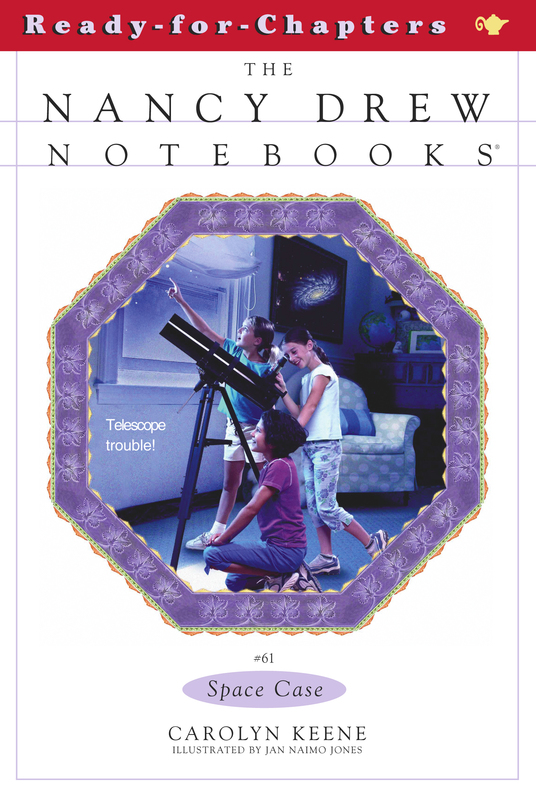 Nancy is superexcited because she has been studying the stars and planets with her brand-new telescope, and space camp would be just the thing to test her new skills. But then the jelly-bean jar goes missing, and it looks like no one will get the chance to blast off to space camp. Who would steal a jelly-bean jar? Nancy must use her star-power detective skills to find out!